It was a great vacation and I was able to do so many fun things. The first 5 nights I was at the Royal Lahina with Tara and her family. Her wonderful husband Milt was only there a few days, but graciously took care of the baby for a long morning so Tara and I could go ziplining! We got to do 4 different zip lines over the rainforest and pineapple fields, then we did the totally crazy and awesome swing. Definitely one of the best trip excursions I’ve ever done! After Tara and Milt had to head home, I met up with my folks in Wailea for 10 days. Tracey and John were at the same condo complex as us and Alex and her friends were just about 10 minutes away. There was a lot of lounging and swimming and a few games of Mexican Train. 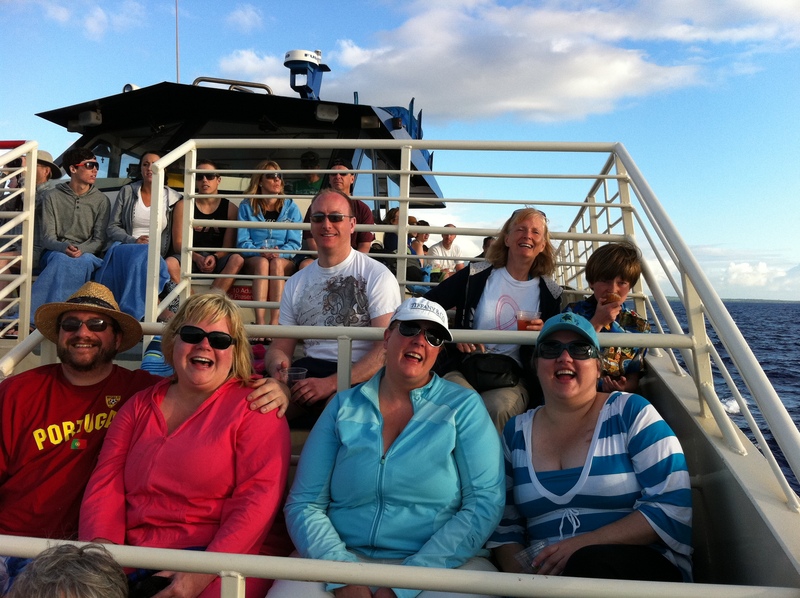 The best part of the week was our snorkel trip to Molokini and Turtle Arches. The water was so clear and the coral was really beautiful. But swimming with the giant sea turtles was AMAZING. I got one of those disposable underwater cameras, so I am hopeful that at least one picture will come out of the turtle that swam right up to me. Those of you on facebook have already seen all of my cocktail photos. I’ll put up a gallery of them soon! It may have given the wrong impression though, as I never had more than 2 a day and some days there were none at all. 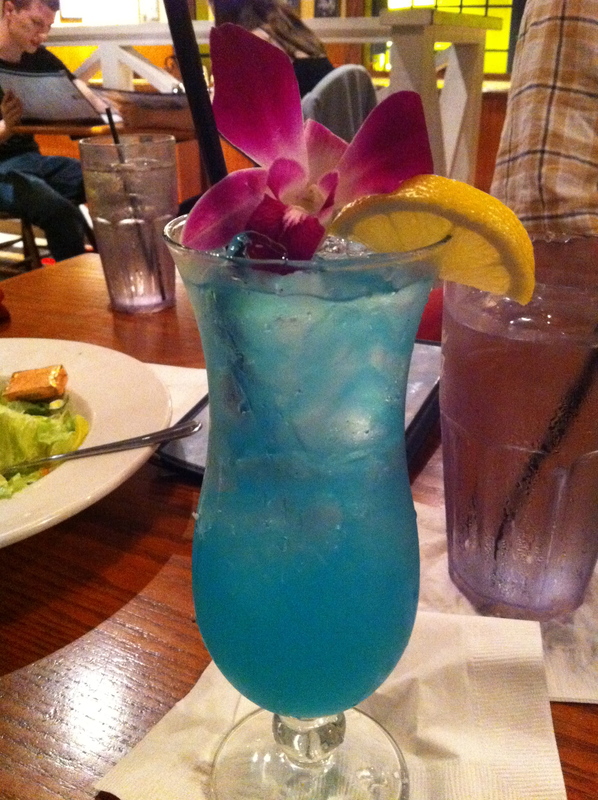 My meds don’t mix really well with booze, but a few tropical drinks are part of the Hawaiian vacation experience! Two weeks was a long time to be away, though, so I was glad to get home and into my own bed with my critters. Finnegan grew while I was gone and all is fur is coming in, so he’s quite the little moppet. He reminds me of a fraggle! pictures turn out. Always good to come home. What a great time we had enjoying Maui with you. So glad we got to have our excursions of shopping, swimming and eating. So appreciated having your help with the “chasing” of baby Milt. How does one go on vacation with an 18 month old without 3 extra people to help wrangle? I think all that bird chasing that Milty did will help him in upcoming marathons. Have Tara and you figured out who is going to open a yogurtland franchise here? 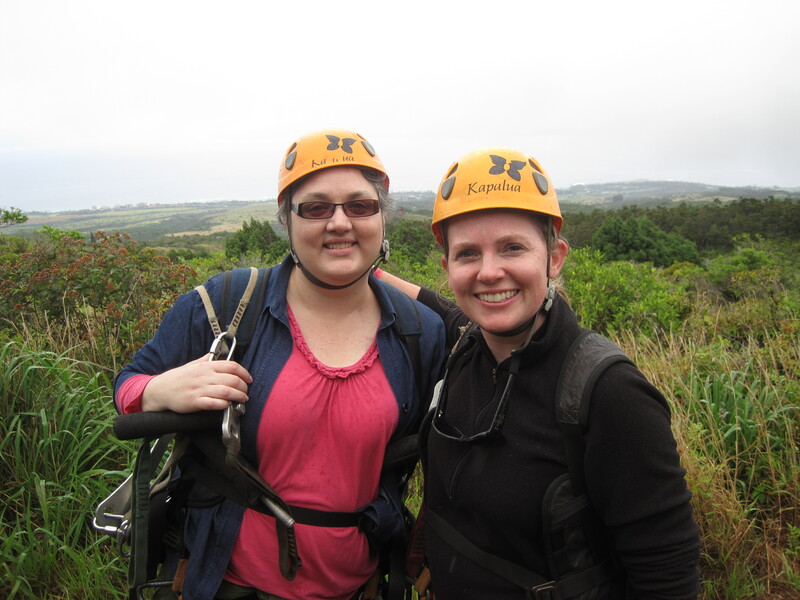 Glad you and Tara got to Zip line. Our memories of playing together will not be forgotten! Thanks for a great week.